In 2017, a year of peaks and valleys in my life and the community at large around me. We also had one hell of an interesting year in film. In late 2016, when looking at the long list of films to come in the forthcoming year, not many that caught my eye are part of the list below. I’d like to label 2017 in film as the year of “pleasant surprises” for most of the films on my list I didn’t expect to see there, even after seeing them. A film that conjures more questions than it cared to answer; It Comes at Night took the Jaws mantra of less is more to the most severe one could. Director Trey Edward Shultz and cast Joel Edgerton, Christopher Abbott, Riley Keough, Carmen Ejogo, and company brought to life a family drama that’s more focused on the brutality/kindness of man than it is allowing us to learn about the world they live in. It was one of the tensest films of the year. I’m ecstatic it made the list though even number 10 feels a bit low. Maybe it’s because I live in Phoenix. Maybe it’s because real life stories of disasters/tragedies hit me especially hard. Or maybe it’s because Only the Brave is a damn fine film, but I am outraged that this film didn’t catch the traction it deserved. Not even making back half of its $38 million budget domestically, the story of the Granite Mountain Hotshots and the unfortunate deaths of 19 of its members was a bone-chilling and tear-churning picture. Filmmaker Joseph Kosinski, from Tron: Legacy, gave great direction to a truly remarkable cast, lead by Miles Teller and Josh Brolin. Only the Brave was one of the finest, and simply most underrated, films of the year. An unpopular opinion, I consider Spider-Man: Homecoming to be the best film starring the web-slinger to date (take that with a grain of salt because 13-year-old me also didn’t hate Spider-Man 3 upon its release). A homage to John Hughes films of the 80’s; Jon Watts brought us one of the most amusing Marvel Cinematic Universe films to date, and also a Spider-Man actor who was more age-appropriate. Tom Holland was beyond perfect for the role and Michael Keaton’s Vulture was easily the most threatening villain the MCU has brought us, especially at times when he’s just a father. Who would’ve thought that after rebooting a character three times, a filmmaker could still make the film refreshing and original? I think my quote from the review below sums up my thoughts pretty well; It may not be one of the scariest horror films in recent memory, but it’s probably one of the best. A main cast of thespians who give stellar performances across the board and none of which are even yet 18. To get one teen to give a performance of that caliber is a feat in itself but to get SEVEN is truly astonishing. Excellently directed by Andy Muschietti, he wasn’t merely able to bring one of the most famed Stephen King novels to life, but provided an 80’s nostalgia that Stranger Things has shown audience crave. When I saw John Wick: Chapter 2 in early February I wondered whether the year would be slow enough that it would remain in my top ten. Well, the year wasn’t the best. It also wasn’t the worst. But, the Keanu Reeves starring action flick aged like a fine wine. Clean, smart, and stylish; Chad Stahleski lost his other half to the Deadpool sequel, yet somehow was able to stay even more disciplined in the extravagance of the film. In a film that kills literally dozens of men, it’s a credit to the director and story that the final kill has as much weight to it as it does. 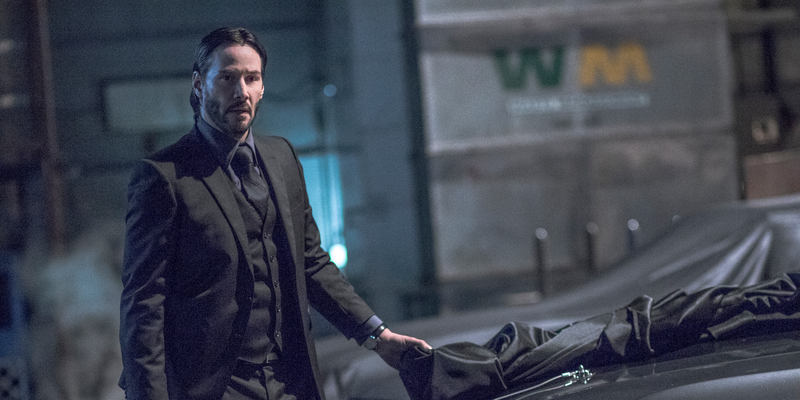 If John Wick: Chapter 3 continues its upward spiral, it has a chance to be a truly incredible and surprisingly profound trilogy. 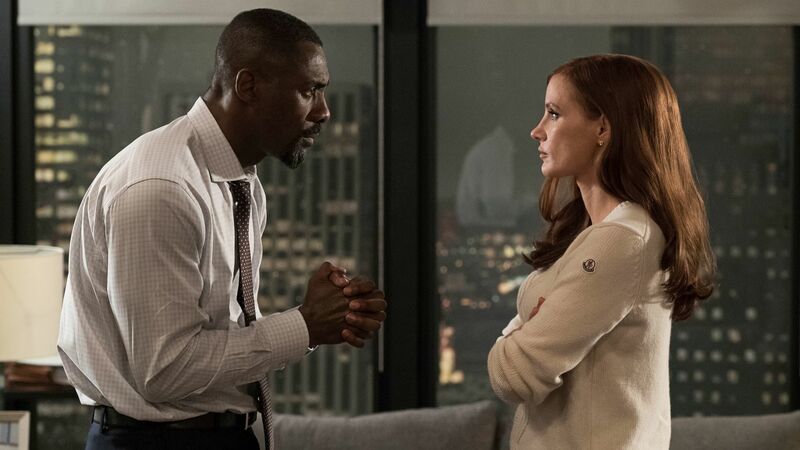 This one is probably the most bias of them all, because I am on record as saying, “Aaron Sorkin is my Jesus.” Molly’s Game is just as deliciously written as his others; but this time we get a pair of great performances from the Oscar snubbed Jessica Chastain and Idris Elba. The directing by Sorkin in his freshman effort may not keep up with his writing, but that doesn’t take away from the brilliance that litters every movie in the scribe’s filmography. Some don’t care for the over-elegancy that comes with Sorkin’s dialogue; but it’s exactly my cup of tea and Molly’s Game uses it as well as any of his films have. I was right; War for the Planet of the Apes isn’t the best film of the year, but it’s pretty damn close. As I mentioned in the review, the film was terribly marketed and thus lead to its abysmal box office results, “the film has more in common with Unbroken and Schindler’s List then it does with most modern blockbusters; which may be a plus, but is also out of place and unexpected for the franchise.” A film that could have easily been nominated for Best Picture had it been given a bit more of a push, I will always remember Caesar’s trials and tribulations, no matter how fictitious they were. Woody Harrelson gives an incredible performance, Steve Zahn defies expectations with his, and Andy Serkis is a goddamn national treasure (British national treasure?). His lack of accolades for his portrayal of the primate over the last three films is criminal. If the film and the wizards at Weta Workshop don’t win the Best Visual Effects Oscar, I will lose all faith in the Academy. Watching a film like this barely turn a profit while The Boss Baby makes $20 million more is truly rage-inducing. Taylor Sheridan’s first directed film and third penned; arguably is his best from this critic’s eyes. Many see his first script filmed, Sicario, as his Magnum Opus and then Hell or High Water as a worthy successor. I loved both films and both landed spots on this list in their respected years (Hell or High Water was number five last year) but the smaller, more intimate, more thought-provoking, and cleaner takes the prize as his greatest film and third greatest in 2017. Pairing the continuation of Jeremy Renner’s streak of implausible performances, rivaling The Town and The Hurt Locker, with Sheridan’s potent and chilling script and newfound direction made Wind River one of the most harrowing experiences in a theatre as of late. Through the controversy and unexpected criticisms, I have kept my love for the film untouched. What people won’t remember years from now is the surprise Disney and critics had when the film wasn’t universally respected. Critics branded it the as one of the best Star Wars films to date while Disney was so happy with Rian Johnson’s vision they gave him free reigns to helm his own trilogy. I was right beside them with my passion and affection for the film, not realizing I could like a Star Wars film as much as I had. The excerpt below makes me cringe with the pretentiousness used, but was the only way I felt I could articulate my feelings. The long debate over Star Wars: The Last Jedi will be ongoing for many more year, but it’s position on this list should be a clear signal as to which side I’m on. I’m not one to toot my own horn, but did I call it or did I call it? Right there below in the excerpt, black and white, and six months later it still supremacies as number one. I was never even a huge Edgar Wright fan; his best two films to me were Scott Pilgrim vs. The World and Shaun of the Dead, both of which were maybe 7-8/10’s. Baby Driver was able to fire on all cylinders (pun intended) and gave me everything I asked of it and so much more. A cast that would make any director jealous and overwhelming performances from all is what made the film such a rare feat. There was never a dull moment nor egregious flaw in Wright’s execution. The music was sensational, Ansel Elgort fronted the film wonderfully, and all the pieces came together to make an astoundingly exceptional film in an unfortunately lackluster year. Do you inherently disagree with or absolutely love my film choices? Let me know!